The preparation of children for First Penance must take place before and be distinct from the preparation for First Eucharist. It is the responsibility of the pastor to ensure that quality catechesis takes place in the parish preparation programs for First Penance and First Eucharist. The preparation programs for First Penance and First Eucharist should recognize the place of parents as the primary catechists of their children and assist the parents in fulfilling their responsibilities. • Worshipping regularly with the children and guiding them in their response to the penitential aspects of the Mass. • Attend catechetical sessions for parents which will prepare them to be their child’s catechist in the immediate preparation for First Eucharist. 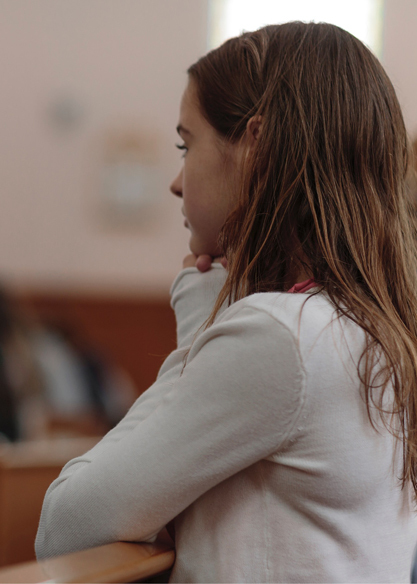 The remote preparation for First Penance begins from the earliest years of childhood both in the family and the parish catechetical (religious education) programs. This takes place in anticipation of the child’s celebration of the sacrament of Penance and is prior to and separate from the immediate preparation for First Eucharist.